We offer 24/7 emergency heating services in Davidson, NC with fast dispatch times and the parts on the truck that will get your furnace up and running in no time. Seeing your breath outdoors during a cold, winter Davidson, NC day is expected. Seeing it indoors because your furnace isn’t working isn’t. When you find yourself in need of heating services, you don’t have the luxury of waiting for hours or even days to get service. That is why you should always call us at Cool Comfort Heating & Air for all your heating service needs. We offer 24/7 emergency heating services with fast dispatch times and the parts on the truck that will get your furnace up and running in no time. Many of the unexpected issues that can befall your heating system are quite preventable with routine maintenance, so in order to help you avoid an untimely breakdown, we also offer inspection and maintenance heating services. By having us check out your unit prior to the temperatures falling, you can feel more confident that when it is time to turn on your furnace, it will actually come on. 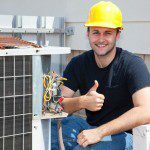 Furthermore, regular maintenance also helps your HVAC system run at its peak performance, saving you from overpaying for utilities. It can also extend the life of your system. In addition to maintenance and emergency heating services, we also install units for new construction and perform furnace replacements. You may want to consider furnace replacement even if your current unit is still operating, but is not as energy-efficient as newer systems. The utility savings can go a long way toward paying for your new system, and we have a number of long-term financing options that can also help. When you need heating services in Davidson, NC, think of us at Cool Comfort Heating & Air. Your comfort is our first priority! With over 15 years of experience in the industry, we believe we are your best option for heating services in the area. At Cool Comfort Heating & Air, we provide high-quality heating services in Mooresville, Huntersville, Cornelius, Denver, Lake Norman, Troutman, and Davidson, North Carolina.